I could probably find a LOTR quote for most situations, lol, but today this one really applies. 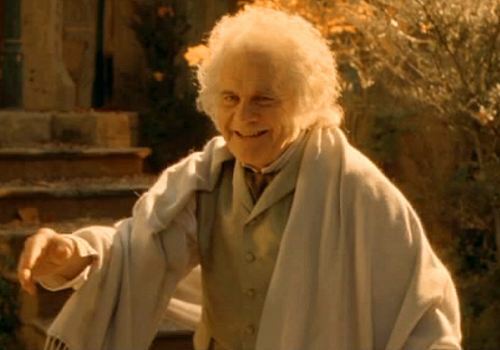 Like Bilbo, I’ve just thought up an ending for my series! I’m on my second Taylor Davis book, closing in on 2/3 of its 60,000 words, with two more books in the planning stages, but the final scenes are written!! I had a few ideas I’d sketched out previously, but I was waiting to see exactly where the series was going and if a better idea would come along. It did. I find I do some of my best thinking during the fog of early morning or late night. Maybe my brain is just free from the constraints of trying to organize my chaotic existence. At any rate, that’s when the creative juices seem to flow the best. I had staggered into the shower this morning and was trying to jolt myself awake (I don’t drink coffee, you see) when an idea hit me out of the blue. A perfect character name followed, and then the two final scenes unfolded in their entirety. I threw a towel around myself and—dripping—pulled out my laptop to get it all written down before I lost it. I even went back later, after coherent daytime thought had taken over for a while, just to double-check the workability of my scenes. (Because sometimes my foggy creative juice moments have to be tempered later.) It’s good, solid stuff! And now I wonder how I didn’t think of it earlier. It’s how the series has to end. There can be no other way. Some readers will love it, others definitely will not, but it fits. It’s perfect! When do you get your best ideas? What do you do when inspiration hits? 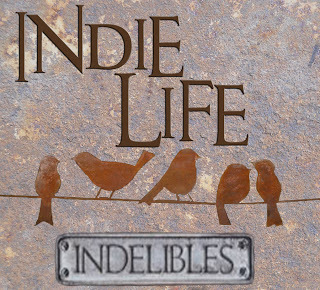 Visit the Indelibles the second Wednesday of each month to find more great posts about living the Indie Life. Lol! Erik, you’re a hoot! Yay, I love it when everything comes together and the ending writes itself. Glad you’re nearly done. If you feel it’s perfect — it must be. You now when you have it. When I worked, I wrote and meditated in the very early morning. But, now my time clock has changed, I’m more inspired to write late at night. But, I can write any time if inspired. I’m the opposite. I used to love late at night, but the busier my family gets, the more exhausted I am then. Morning has been better this time around, while my boys are working independently. And weekends. I love Saturdays. I often get ideas for my writing when walking on the beach. I have learned to carry a notebook to jot things down. Of course ideas appear at odd times like driving to work or late at night when trying to sleep. I always keep a notebook handy, too. I love my notebooks. I fill several a year!